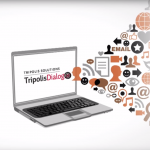 Home » Portfolios » How to check your mailing results in Tripolis Dialogue? In the Tripolis Dialogue Reporting module, the results of the mailing and campaigns that are published can be shown. It is possible to check the reporting results on delivery, opens and clicks of the mailings and campaigns. This way you can find out exactly how well your campaign performed and how successful your mailings have actually been.